Welcome to the Butte Teacher Induction Program! Butte County Office of Education prides itself on putting students first and our Teacher Induction Program is definitely no different! Our mission is to support beginning teachers in their first two years of teaching to ensure their professional success and retention in the profession. Through enhanced training, feedback, and guidance from a highly qualified mentor teacher, our participating teachers will establish a system of inquiry and growth based on the California Standards for the Teaching Profession. In addition, our participating teachers will cultivate a professional learning network that will eliminate professional isolation and continue to support them as they progress throughout their educational career. Thus, Butte County Office of Education’s Teacher Induction Program produces highly qualified professionals who effectively impact student achievement and their school communities. The research on student achievement overwhelmingly shows that teacher expertise is the most important factor in student learning. 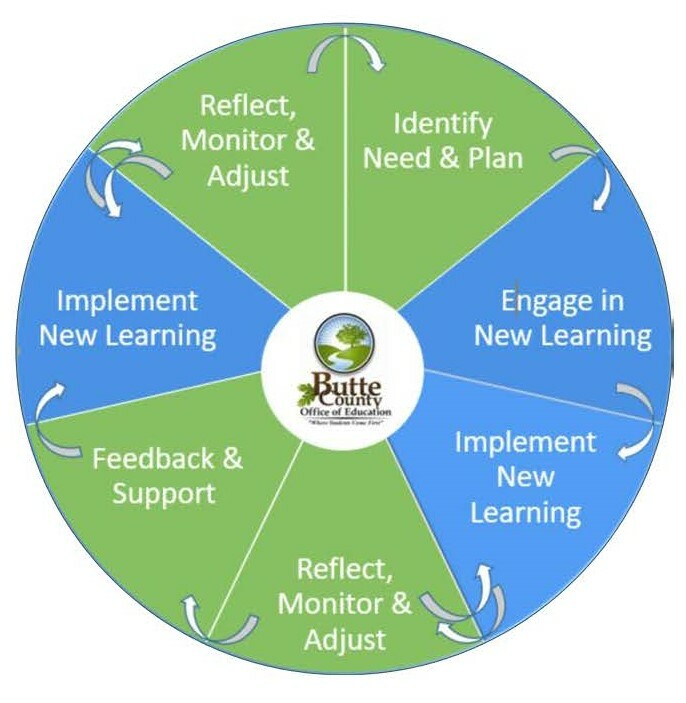 Therefore, Butte County Office of Education’s Induction Program offers differentiated professional learning designed to help participating teachers develop their instructional practice as it is targeted to support their individualized learning goals.